Read On Nottingham launched a new online initiative to inspire a generation of readers at the Nottingham City Homes Fun Day this weekend. The Dads Reading Selfies competition calls on dads, grandads and uncles to post a picture on social media as they enjoy story time with their children using the hashtag #ReadOnNottingham. All entries will appear in a gallery on the Read On Nottingham website and winners will bag a bundle of books, with one lucky family also scooping pair of tickets to a Nottingham Forest FC match. The competition was launched to encourage more dads across the city to share stories with their children, which will have an important impact on their learning and wellbeing. Research by the National Literacy Trust has shown that fathers are less likely to read to their children than mothers, and are seen reading by their children less frequently. A lack of male reading role models is widely considered to contribute to the gap in literacy achievement between boys and girls. 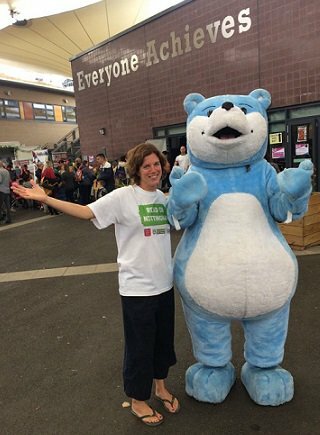 Read On Nottingham representatives launched the competition last Saturday as part of a residents' Fun Day hosted by Nottingham City Homes, which was attended by 1,600 people. Local families took part in activities including crazy golf, enjoyed bouncy castles and took home a total of 600 free books and bookmarks from the Read On Nottingham campaign. 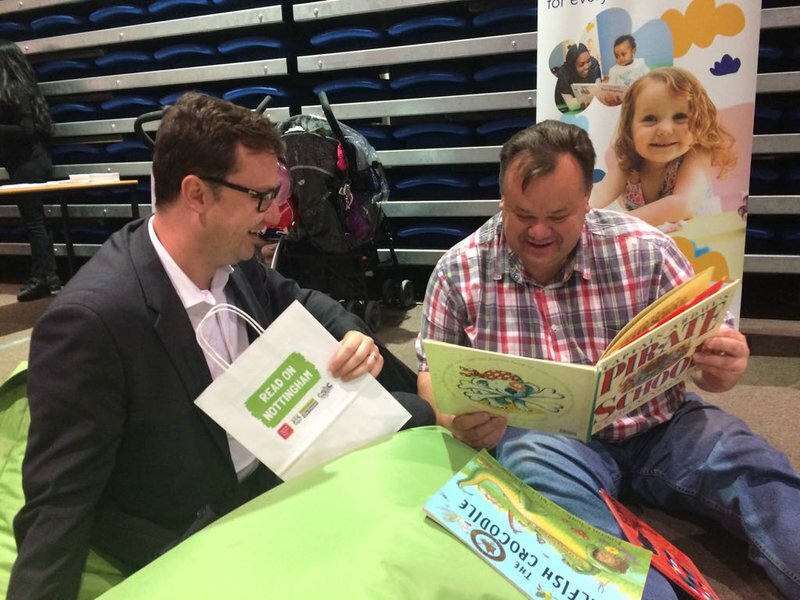 Councillor David Mellen reads to Alex Norris MP for Nottingham North.